Colorways are warm and spicy. Select pieces feature fuzzy pom poms and scalloped edges for added design detail. 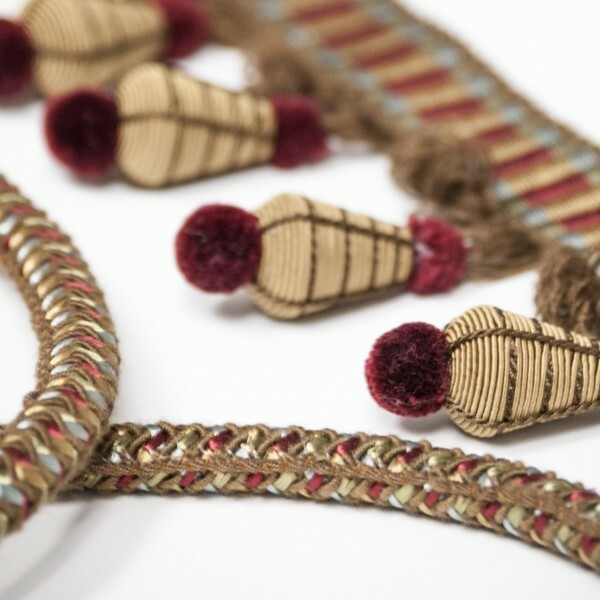 The Seville Collection of trimmings features a 3 3/4" barrel tassel fringe in eight colorways. Coordinating items work well together to accent various areas of a room yet ties everything together. Choose from a border, tassel, double thick brush, cording in two sizes, a decorative button rosette, fringe and tieback.